Charlotte, North Carolina, mixes southern hospitality with the comfort and convenience of urban living. 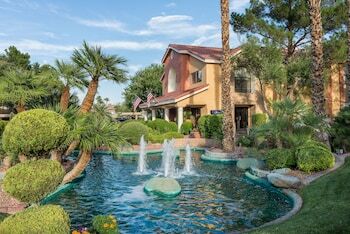 While Charlotte has a lot to offer, the bright lights and extravagance of Las Vegas can be an exciting change. If you want to travel from Charlotte to Las Vegas, book your vacation through Orbitz.com. They can help you find cheap air fare and more. Charlotte- Douglas International Airport, located at 5501 R C Josh Birmingham Parkway, is about 15 minutes away from the city center of Charlotte. Several airlines service this airport, including American, Delta and United. To get to the airport, you can either take a taxi or drive your own car. If you take a taxi to the airport, it will cost you between $14 and $25, depending on the length of the trip. If you drive your own car, you can either park in the daily lots or the long-term lots. Daily lots cost $7 per day, and long-term lots cost $5 per day. There is also an hourly parking lot, charging $2 per hour, with the first half hour free, for those who are dropping off passengers. Once you're at the airport, you can grab a bite to eat at Bojangles', Burger King, Cinnabon or any of the other restaurants throughout the terminals. 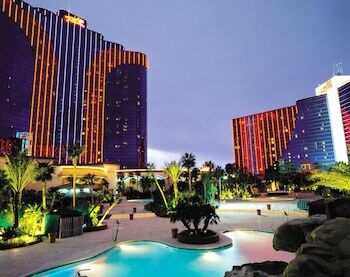 Las Vegas is near the southern tip of Nevada and is best known for its casinos. 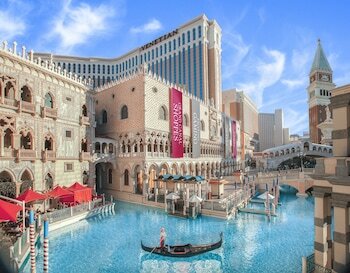 While Las Vegas does boast some of the best gambling in the world, it has other sights to see, as well. There are shows of all kinds, rollercoasters and other amusements. 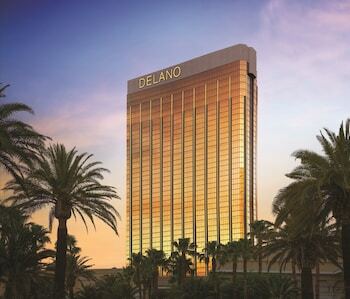 No matter what your interests are, you're sure to find something to enjoy in Las Vegas. 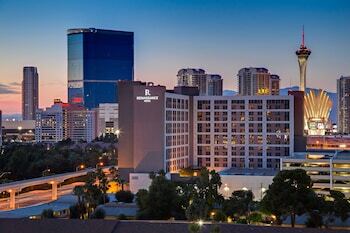 McCarran International Airport, located at 5757 Wayne Newton Boulevard, is about 30 minutes from the Las Vegas city center. This airport features many works of art and an aviation museum. To get from the airport to your final destination, you can take the bus, rent a car, hire a taxi or ride a hotel shuttle. The bus is inexpensive, costing as little as $1 for a single ride. Rental cars usually cost at least $30 a day, but they provide added convenience. Taxi fees vary depending on the duration of the trip. Hotel shuttles are the best option, since they are usually free to hotel guests. 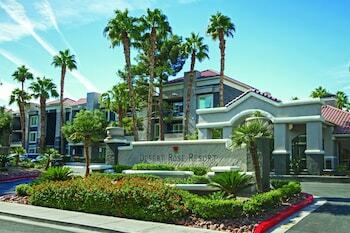 Las Vegas summers have average temperatures ranging from 81 to 104 degrees Fahrenheit. Winters are cooler, with average temperatures ranging from 39 to 58 degrees Fahrenheit. Spring and fall generally have temperatures in between these two extremes. 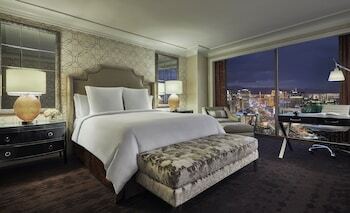 It rarely rains in Las Vegas, so you usually don't have to worry about packing an umbrella. Regardless of the weather, Las Vegas is full of things to do. Thrill-seekers can get a rush of adrenaline from the Richard Petty Driving Experience, and nature lovers can hike and observe wildlife at the Red Rock Canyon National Conservation Area. No matter what you do, you're sure to have a great time. 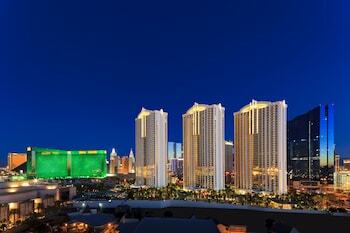 While Charlotte has an urban vibe, the bustling city of Las Vegas is quite an exciting contrast. If you're traveling from Charlotte to Las Vegas, don't forget to check out Orbitz.com. They'll help you plan a fun vacation without emptying your wallet. Charlotte-Douglas Intl. - McCarran Intl.